Mio island is a hexagonal shaped land formation off the coast that is very beautiful and designated as a national natural monument. 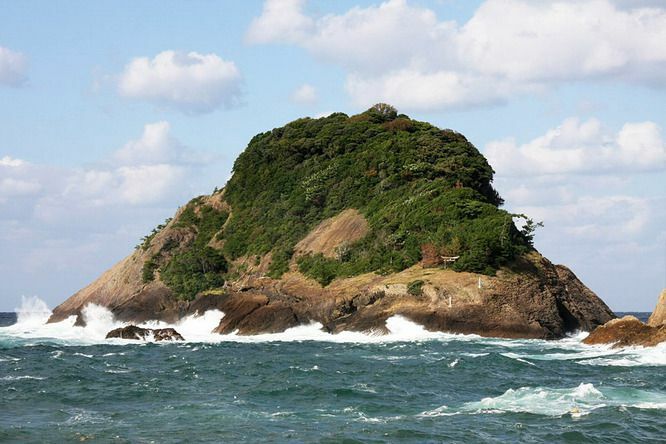 It has another name, Awabi Island (meaning ear shell island), based on its shape. The 8 kilometer coastline from Shin-onsen to the town of Kami is home to many interesting rock formations created by the waves. 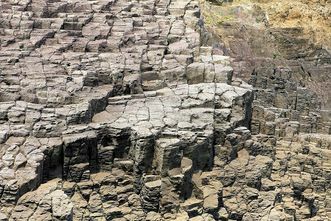 There are many kinds of rock (igneous and sedimentary) and cave formations that are all together in one location. 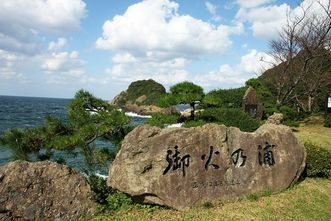 From here, there are many popular spots, such as Ryugu cave, Mio island, Shitaara cave, Nokogiri Misaki cape, and much more.